The best smartphone experience that one can have is the iPhone. Not only are Apple's devices well made, but iOS is a spectacular operating system that gets consistent updates. The top model is the iPhone X, and its starting price is a sky-high $999. If you can afford spending that much, more power to you. Let's be honest though -- despite being a great product, a thousand dollars for a phone is just insane. How crazy is the iPhone X price? Well, for comparison, today, BLU announces a flagship Android flagship called "VIVO X" that costs just $299.99 (currently $249 at Amazon). Yes, you can pretty much buy four of these devices for the same price as the base model iPhone X. Blu's phone is no slouch either -- it has a 6-inch display, an Octa-Core processor, and 4GB of RAM. Unlike the iPhone X, it has a fingerprint reader. Photographers will appreciate that it has a total of four cameras -- two on the rear, and two in the front for selfies. Even the battery is impressive -- a monstrous 4,010mAh with fast-charging technology! 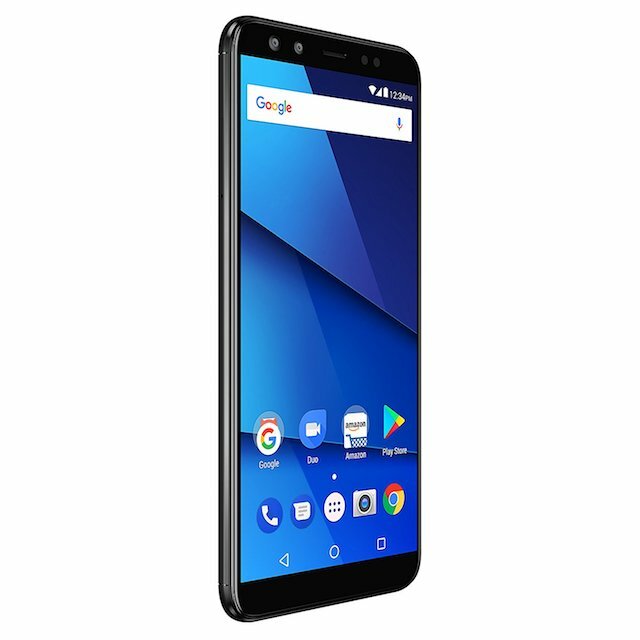 "The BLU VIVO X's gorgeous 6.0-inch HD+ (1440 x 720) 18:9 widescreen Incell display elevates the smartphone's visual experience to a new level with stunning graphics and life-like colors that seem to jump off the screen, protected by a curved Corning Gorilla Glass 3 touch panel. 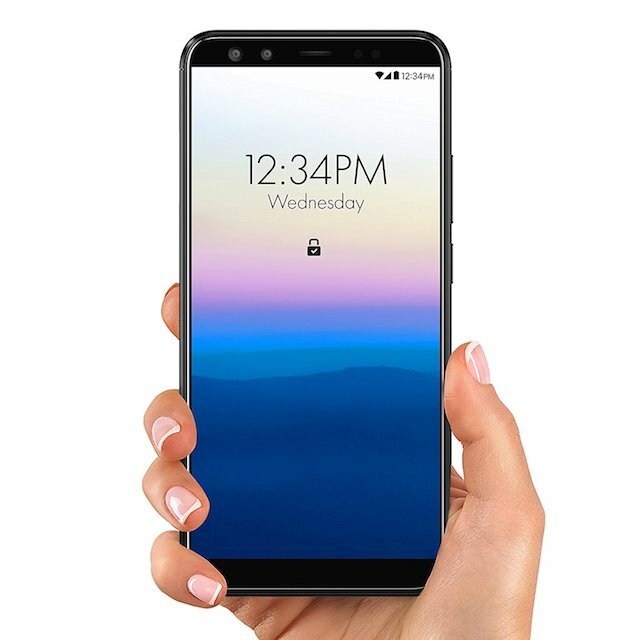 The VIVO X's display provides the user with a whopping 80-percent screen-to-body ratio, providing a bigger canvas on your mobile phone for all your pictures, movies, and ample space for everyday tasks. In choosing the resolution the HD+ quality is balanced perfectly with customer preference for longer battery life as opposed to higher resolution displays which had minimal user experience improvement but much higher battery usage," says BLU. 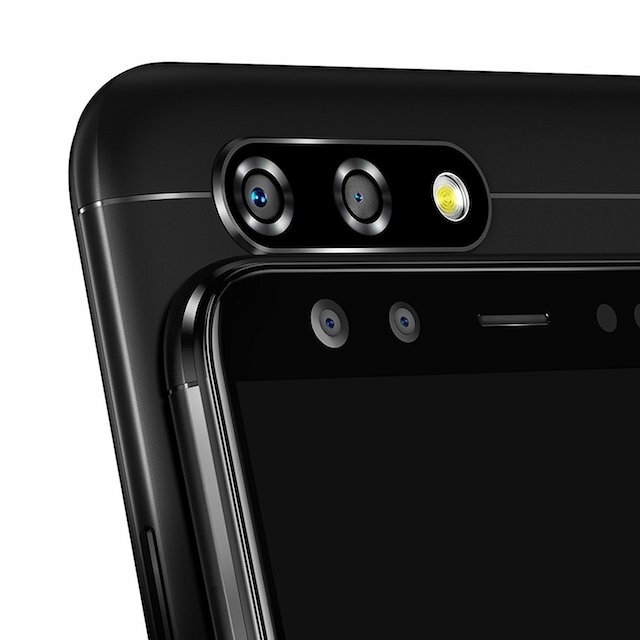 Speaking of the cameras, the company explains, "The VIVO X boasts a dual Super Selfie camera configuration with a 20 megapixel Sony IMX376 camera sensor featuring advanced technologies, F/2.0 aperture, and 1/2.8 inch sensor with 5P lens which provides more clarity and capture impeccable selfies. Paired with an 8 Megapixel 120° Wide Angle camera in order to capture exquisite selfies to make sure you don't miss any details. The dual main camera setup boasts a 13 megapixel camera sensor featuring advanced technologies, F/2.0 aperture, 1/3 inch sensor with 5P lens, real-time HDR, and Phase Detection Autofocus (PDAF) with Laser Focus for twice the focus rate and accuracy. Paired with a 5 megapixel camera that is used to capture depth of field to take the perfect picture." The BLU VIVO X has a lot going for it. I really love that it supports dual-SIM cards and has expandable storage thanks to microSD. Quite frankly, it is gorgeous -- shockingly so at this price. What I don't like, however, is the lack of 802.11ac. In reality, the 802.11n should be absolutely fine for most consumers though. Sadly, it appears to use micro USB instead of the much-better USB-C. Both of these issues are minor, however. My biggest disappointment is the lack of Android 8.0 Oreo -- it is shipping with the older 7.0 Nougat. 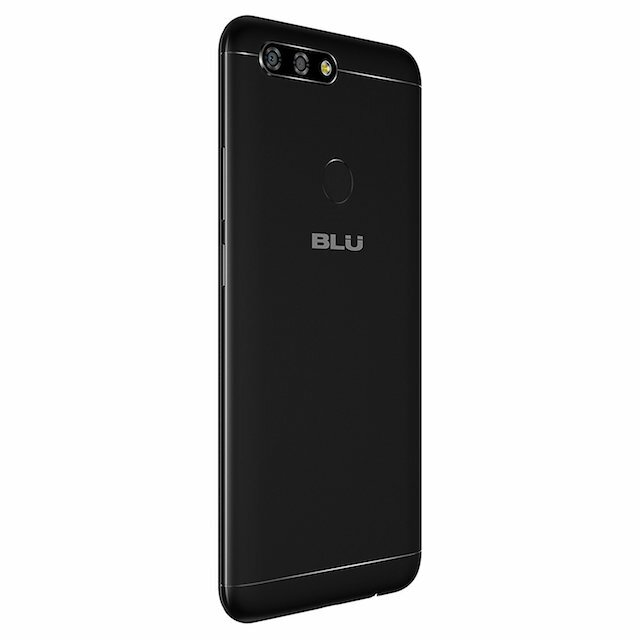 Hopefully BLU will offer an upgrade path to the new version of the operating system, but as it is with all Android device-makers, that is a mystery. If you buy this phone, you should be prepared for scarce updates -- if any. As I ask in the headline, why is the iPhone X so much more money comparatively? Well, it is a much better device, and Apple certainly spends much more money on R&D than BLU does. Not to mention, Apple is constantly issuing updates to its phones, something I find to be priceless. Remember, folks -- a device's value is more than just the sum of its hardware. Still, the $999 asking price does seem to be a bit much -- even for an Apple device. Hopefully low cost offerings such as the BLU VIVO X will get Apple to come down on its pricing a bit for the next-gen iPhone X, although I won't hold my breath. Sadly, the economy still isn't great for many, and its a shame that many low-income consumers are being kept away from iOS. Luckily, Android exists to empower those without much money. If you want to order the BLU VIVO X, you can order it on Amazon here for $249. There was apparently an early-bird price offering of $199, but that sold out quickly. It is currently scheduled to be in stock on February 24. Keep in mind, it will only work on GSM carriers -- Verizon and Sprint customers need not bother.